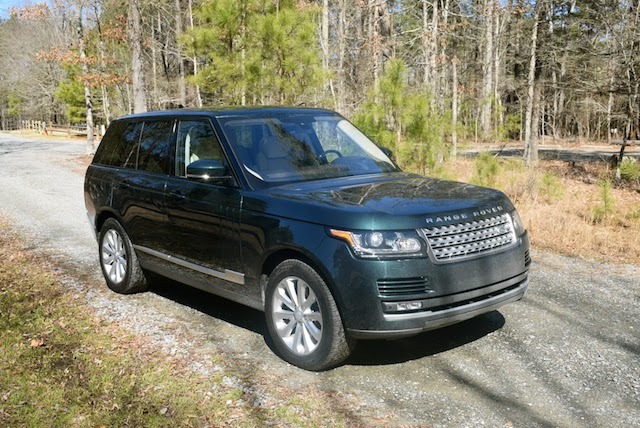 Britain’s Range Rover line adds a turbo-diesel in the North American market. If you are a luxury sport utility vehicle shopper, then you should seriously consider this potent powerplant. There is nothing greater in the Land Rover universe than a Range Rover. Since 1970, Range Rover has represented the pinnacle line of SUVs within the Land Rover fold, and is now composed of three models, including the eponymous Range Rover. Consider Land Rover the cake and Range Rover as the delicious thick layer of icing slathering it. A 2016 Range Rover HSE td6 SUV was a recent visitor and this one came outfitted with a 3.0-liter, turbocharged V-6 engine. Yes, Land Rover has a diesel for the US market, and for the second time in three weeks I was able to test one as equipped. Indeed, just two weeks earlier a similarly powered Range Rover Sport was provided, providing me with my initial taste of UK-built diesel goodness. The new diesels are the same displacement as the supercharged V-6 gasoline engines you’ll find in many Jaguar and Land Rover products. Although diesels are typically heavier than gas-powered counterparts, the turbo-diesel is 18 pounds lighter. Further, the diesels are nearly just as quick, traveling from 0 to 60 mph in 7.4 seconds or a half-second slower than the supercharged gasoline equivalent. So much for a weak engine. But where the new turbo-diesel shines best is in fuel economy. The Range Rover is EPA-rated at 22 mpg in the city and 29 mpg on the highway, offering a 32 percent improvement in fuel efficiency over the petrol-powered model. Throw in the longevity factor of diesels and you have one more reason to consider this option, especially if you plan to keep your Range Rover for a long time. No doubt about it, the Range Rover is a heavy vehicle. 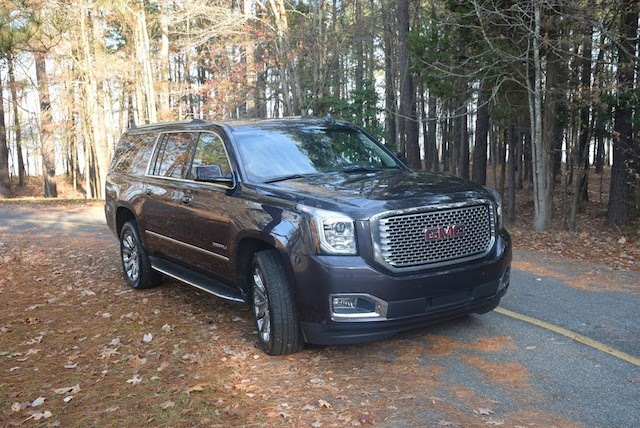 The test model weighed 4,883 pounds, yet coming in substantially less than the 5,840-pound Cadillac Escalade I tested in 2014 and even 900 fewer pounds than a comparable GMC Yukon Denali. Certainly, any high-profile vehicle weighing more than two tons will project its heaviness, especially when ascending steep hills and powering through the twisties. The Range Rover makes 254 horsepower, but its 443 foot-pounds of torque becomes evident early on and especially as you pass a line of vehicles on the highway. That power provides stellar off-the-mark acceleration and on-road execution. Paired with an 8-speed automatic transmission, the powertrain pushes forward, imbuing confidence in the driver. Some people are put-off by diesel clatter, a timbre that becomes increasingly louder as temperatures fall or when the RPMs rise. Inside the cabin, the tone was but a murmur. Stand astride the front end when the engine is running and its reassuring tonality is apparent. What’s doubtful is whether you’ll ever hear a level of clatter matching most diesels of yesteryear or equalling the racket emanating from heavy-duty pickup trucks. Silence may be golden, but even minimal diesel clatter is reassuring. Thanks to Volkswagen’s problems with diesels, namely its emissions cheating, some people take a dim view of all things diesel. Definitely, that’s an unfortunate reality as the attributes of these engines outweigh the highly exaggerated noxiousness of same. Indeed, where Volkswagen’s diesel engines reportedly emit more than 40 times the legal limit of pollutants, Jaguar Land Rover engineered its diesels to minimize contaminants. They had to if they were to meet the current Euro 6 pollution standards as well as pass muster with the Environmental Protection Agency (EPA) and California’s Air Resources Board. All three agencies have approved the new diesel thanks in large part to the company’s Low Pressure Exhaust Gas Recirculation (EGR) system. In effect, the low pressure system holds back recirculation to the turbo and an intercooler, for a lower level of nitrogen oxide (NOx) according to Road & Track. Thusly, the pollutant is converted into innocuous nitrogen and water, with no harmful impact on the environment. Like other manufacturers, Land Rover utilizes urea to maintain the diesel’s cleanliness. Fluid replenishment comes every 10,000 miles, matching what competitors such as Mercedes-Benz mandate. So, not only is the diesel a clean burning engine delivering copious amounts of power with excellent fuel efficiency and the promise of engine longevity, but its peak power nearly matches that of the available supercharged V-8 and its 461 foot-pounds of torque. The beefy V8 is EPA-rated at 14 mpg in the city and 19 mpg on the highway, therefore choosing the diesel will give you corresponding power and with fuel savings topping 50 percent. Have I made a compelling case for the diesel? I hope so. Personally, I’m tired of the sensationalism some critics espouse about all things diesel. Of course, Volkswagen defrauded everyone by passing off its engines as “clean diesels” when they weren’t. Yet, applying a broad brush across the entire industry is not simply disingenuous, but suggests an ulterior motive is at work. For luxury SUV shoppers, heeding such critics mean ignoring a very capable engine that is matched well with the Range Rover and Range Rover Sport, what would be my personal choice if I were shopping for one. And with diesel fuel prices lower than premium gasoline, the additional cost factor has shrunk. Lastly, all the other attributes of these SUVs have preceded them — the new diesel simply amplifies what makes Range Rover the cream of the luxury SUV crop (See Also — Range Rover SVR: Fastest SUV in the World? ).